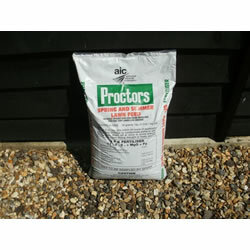 Proctors have been supplying fertilizers for nearly two hundred years and are a highly respected company in the industry We are offering a 20 kg bag of spring and summer lawn food which will be sent the day you order on a one day service at a price per kilo which is a fraction of the cost of small packs available from the DIY chains and garden centres. The chemical composition is 11- 5 - 5 plus fe + mgo Application rate is 35 grams per sq metre (this bag will do one treatment for 571 square metres) You will notice a huge difference if your lawn is well fed. Within a few days it will be lush and dark green. 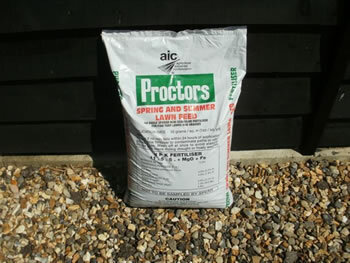 Apply whilst growth is active.